The website Thinking Pinoy shared how former Biliran representative Glen Chong reported that the day before the May 2016 elections, the Commission on Elections was already receiving vote counts. Chong appeared during the Senate inquiry on Tuesday when the body tackled questions which remain unanswered on the alleged irregularities in the 2016 national elections. Senate President Vicente Sotto III previously claimed that a reliable source handed him confidential information regarding the activities that altered election results. Allegedly, based on the resolutions released by the Comelec, the final testing and sealing were conducted from May 2 to 6, but can be extended to May 9 if necessary. The transmission test was done on May 9, the day of elections. 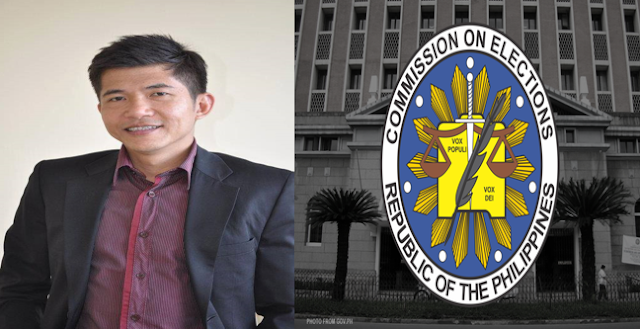 During the hearing, Chong’s credibility was questioned as he was being linked to the 2016 Vice Presidential Candidate Bongbong Marcos. Senate Minority Leader Franklin Drilon cited two letters from Marcos’ legal counsel Atty. George Garcia where Chong was named as one of the Marcos’ camp’s representatives. Chong denied the claim. But the other senators grew more puzzled as to where the data came from. WHY WERE COMELEC VOTE SERVERS TRANSMITTING DATA ON THE DAY BEFORE ELECTIONS? Wala pang bumoboto, may "boto" na, ganern? 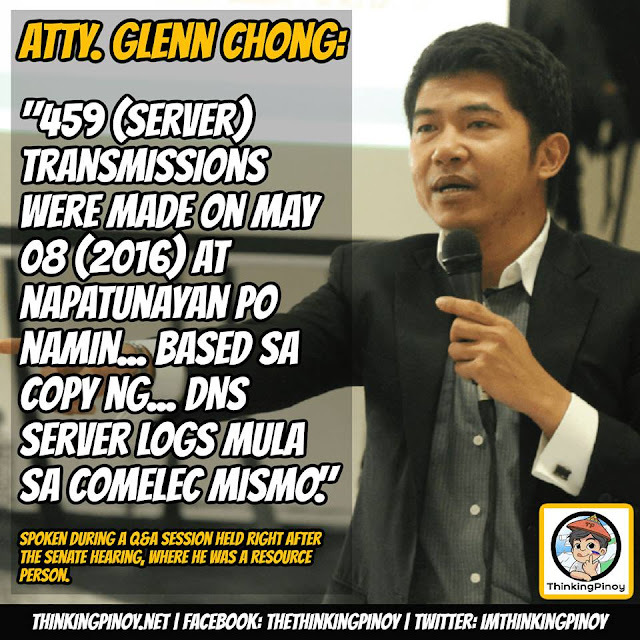 "459 (server) transmissions were made on May 08 (2016) at napatunayan po namin... based sa copy ng... DNS server logs mula sa COMELEC mismo."